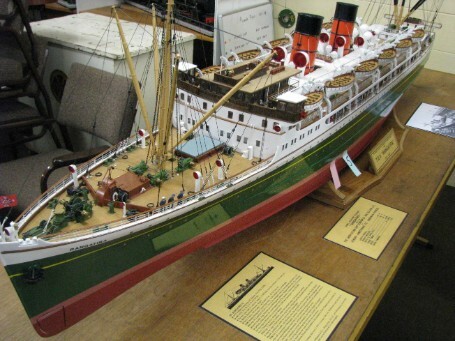 The Rangatira was built for the Union Steamship Co. of N.Z. for the Lyttelton - Wellingon ferry service by Vickers-Armstrong Ltd at Barrow-in – Furness England in 1931 to replace the “Maori” (1907). Six oil fired boilers generating steam at 400 psi. Two turbine driven alternators each supplying 5,120 kW at 3,150 volts to two double-unit 6,500 horse-power electric motors. The electrics motors were directly coupled to the propeller shafts and turned at 220 revolutions per minute. By switching the polarity of her electric motors she could rapidly change from full ahead to full astern. On her sea trials she attained 22.5 knots forward speed before demonstrating, in just 4.5 minutes, a speed of 17 knots going astern. 600 first class passengers in single, double and four berth cabins. 170 second class berths. A further 186 passengers could be accommodated in public rooms when necessary. Crew: 112, giving a total maximum complement of 1,068. "The model is built to a scale of 1/64. I have always admired the builder’s model of the T.E.V. 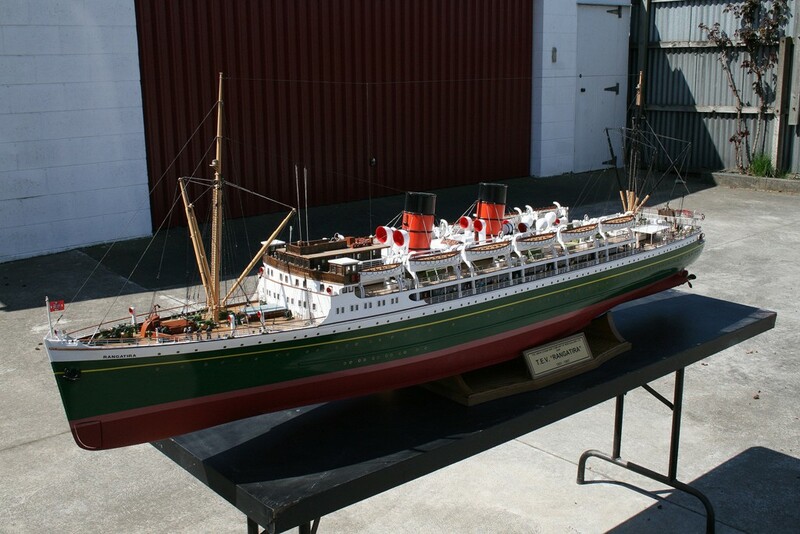 Rangatira in the Canterbury Museum, so I though it would be a good subject for my first scratch built model. On a visit to Wellington I purchased, Rigging, Lines, Docking and General Arrangement for promenade & upper decks plans. Some plans were at 1/48 scale & some at 1/96 scale - so some had to be reduced & some increased in size to get to 1/64 scale. 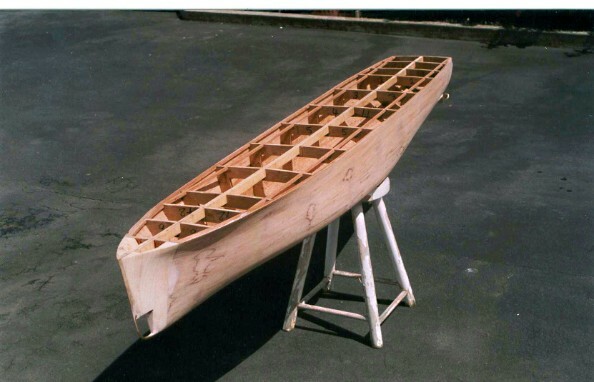 I started the model in 1996 – using the plank on frame method. 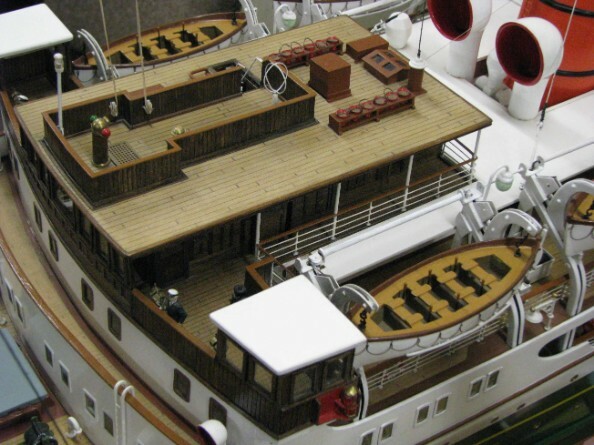 Apart from the anchors, propellers, small ventilators and the 1/64 scale figures, everything else on the ship was scratch built. Power for the model is from an 18 amp/hour jell cell battery driving 2 teleprinter motors (sometimes called computer motors) & 2 electronize speed controllers. Build time was 14 years. P.S. Union Steamship Company N.Z. ship plans are now held at the Wellington City Library."